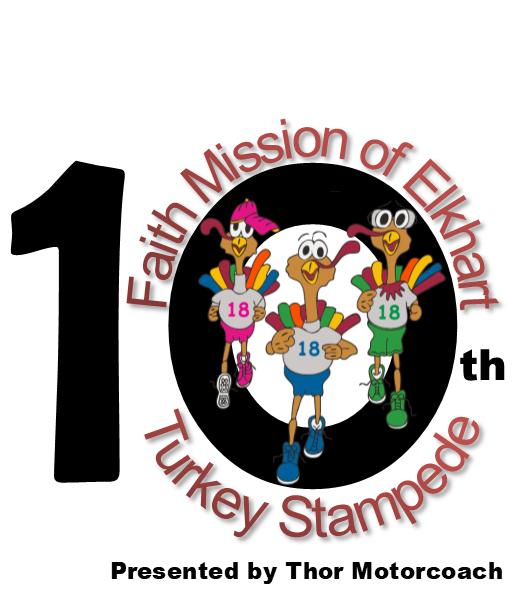 ELKHART—Hosted by Stone Soup Promotions and Faith Mission, it is no wonder this is a family event designed for a family day. It’s a low-key run/walk with a big-heart feel that promises to get participants back home to their day. Chip-timed for competitive trotters, it is also welcoming to those walking a gentle pace with their dogs. The Mile course stays close to the action around the mall. Mike Perez, resource and development director for Faith Mission in Elkhart, and Paula Turk of Stone Soup Promotions, brought Stampede to Elkhart 10 years ago. “The first year, I thought if we had 100, maybe 200 people it would be a success. 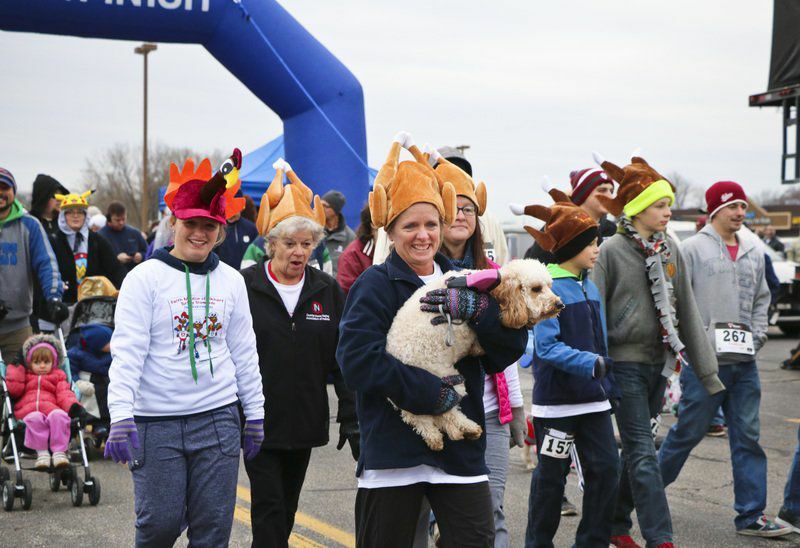 But more than 600 showed up to run that first year and by last year, the 9th annual, the number topped 3,000! Faith Mission has served downtown Elkhart’s homeless for more than 60 years. “The value is making people aware,” Mike said. “We are the homeless center with 156 beds and we serve more than 200,000 meals a year.” While proceeds from the Stampede go to the Faith Mission budget, registration fees are kept low with menu pricing. Mike and Paula make a good team. Paula handles the race details while Mike coordinates the 100 or so volunteers, and the 100 or so more volunteers who serve Thanksgiving Day meals to Elkhart’s homeless that same day. The morning is efficient yet festive. 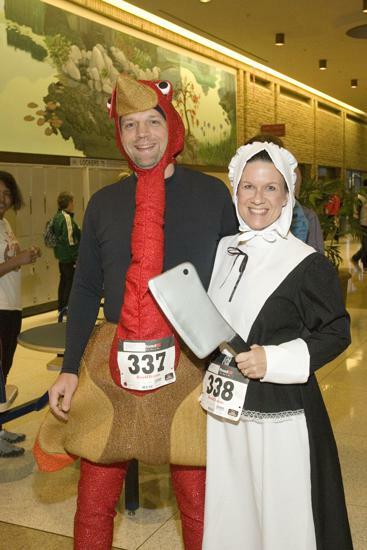 “People want to be in and out.” But there is a DJ, strollers and dogs are welcome and if you are competitive, try to pass the guy in the turkey costume for a bonus $25, or be a top finisher and be awarded a gravy boat.